Sometimes I forget to look up. It’s so easy to spend the days in a whirlwind of phone calls, orders, and emails that when the sun goes down, I forget that Mother Nature’s just getting ready for another light show. Sure, I feel a little pang when I see those brilliant northern lights photos on my Facebook wall the night after a particularly stellar show, but in general, even the most promising Aurora Borealis forecast isn’t enough to pull me from my warm, cozy bed at 3 in the morning. 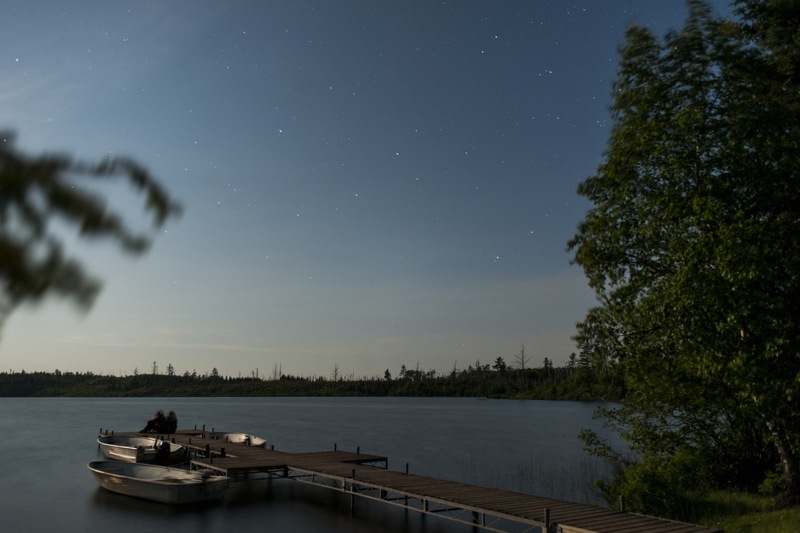 In fact, my dad’s fond of telling the story of when, back in 1995, he woke me up at 4 a.m. one winter morning to check out the Comet Hyukatake blazing brilliantly over our backyard. I stumbled downstairs after him, stood at the back door for a second or two to take in the comet, and with a grunt, I bolted back upstairs to reacquaint myself with the bed covers. 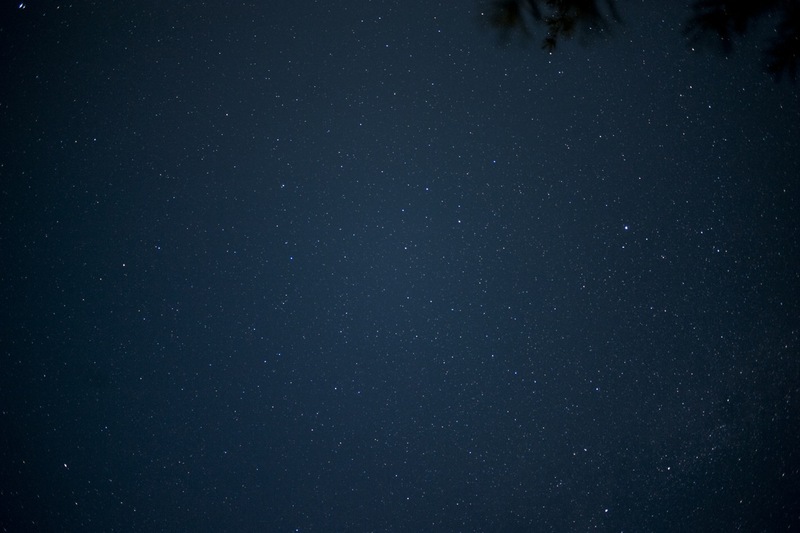 But just because I keep my midnight star gazing to a minimum, that doesn’t mean I’m apathetic to the night sky. I love watching constellations like Orion march across the sky each winter and I’ve even been known to set my alarm for some ungodly hour to catch the Persieds meteorite showers. It’s just, like most people, I need a little prompting to look up. When a group of college friends came up this past weekend, the professional photographer in the group was excited by the Aurora Borealis forecast and headed out on the Tuscarora dock to see if she could spot any color on the northern horizon. Although there wasn’t much northern lights activity when she was out, the night time photos she did snap reminded me of all the wonderment that passes us by each night. It’s so special to make our home in a place where the darkness is thick and the stars aren’t muted by outdoor lights. Sometimes, on a winter evening, I just like to stare up into the Milky Way, remembering that our view of the night sky isn’t that dissimilar from the ancient Greeks who were out there naming the constellations all those thousands of years ago. There’s something both grounding and magical to be found in the stars. 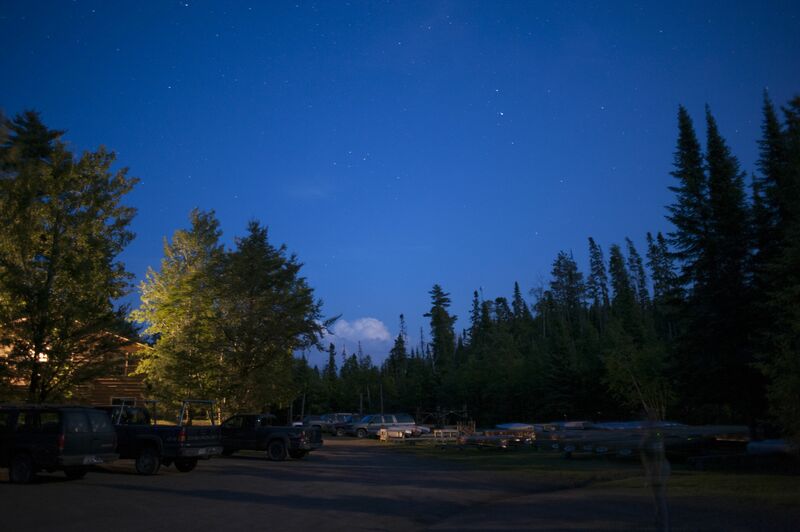 If you find yourselves in our neck of the woods, don’t forget to take a moment to step outside the cabin or tent some night and look up. It’s one heck of a show.